Hola, D here. I SHOULD be studying for my Thursday final.. but, I’m blogging instead! 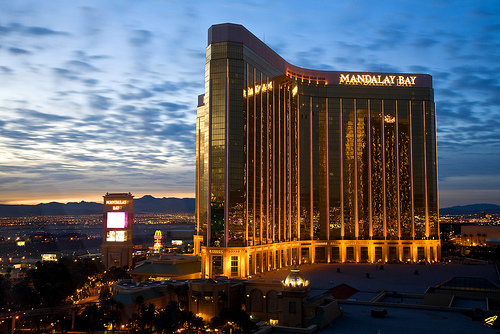 1) I stayed at Mandalay Bay! When I was booking our hotel, I was debating between Mandalay (where the race started and finished) and the Venetian (where the expo was held). I eventually decided on Mandalay because I’m lazy and the idea of leaving my hotel 2 minutes before the race start sounded amazing! A lot of people ran into trouble after the race trying to get back to their hotel — long lines for cabs combined with the strip being closed meant that it took HOURS for runners to get back. I was able to get back to my room in 5 minutes. Awesome. 2) I started in an earlier corral. Tons of runners had issues with overcrowding, being stuck behind slower runners/walkers, and running out of water towards the end. Most of these people were in a later corral, but I happened to start in corral 8. While it WAS crowded, there was still room for me to dodge around slower runners. I passed through the course early enough so that there was plenty to drink. This also helped me a lot after crossing the finish line. My sister finished a while after me and she said it took her forever to walk through the back of Mandalay Bay, back into the hotel, and up to the room. A ton of people said they didn’t move once they got into the hotel. I didn’t have this problem AT ALL. I walked along the tables, grabbed some food, and got to the place where I told Emily to meet me. Super quick. No problemo. 3) I didn’t run the full! I felt SO bad for the people who ran the full marathon. They ran the first (boring) 13 miles with plenty of room to run their pace. Then BAM! 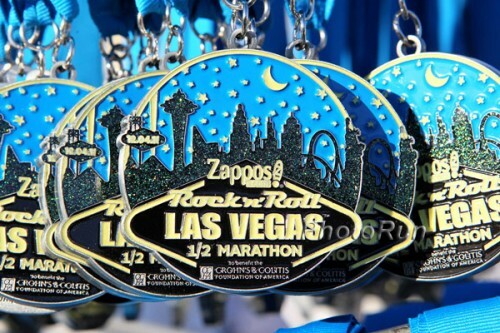 they meet up with 39,000 half marathon runners! The full marathon lane was hardly marked and the faster paced full runners (3:30 pace) met up with the 2 hr half runners — not a good combination!